Electric lawn mowers all use electricity as a power source to cut grass. There are two types of electric lawn mowers. Corded lawn mowers draw power via electric outlets while cordless lawn mowers use a battery connected to the lawn mower. Both types of lawn mowers usually start with a single push. Electric lawn mowers need little maintenance. Occasionally, you need to clean dust and grass clipping off the mower and sharpen the blade. 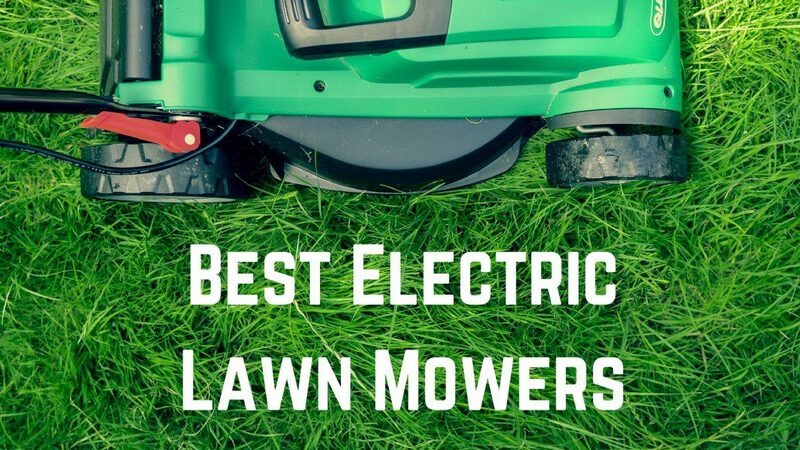 Listed Below Are the Best Electric Lawn Mower Models of 2018. In the chart below, you will find our top ten rated electric lawn mowers. For a more in-depth review of each model, please click on "Read Review." Here Are the Best Electric Lawn Mower Options of 2018. When choosing an electric lawn mower, calculate approximately how big the yard is that you will be mowing. Generally, cordless lawn mowers are used when you will be cutting grass that is 5,000 square feet or less. Corded lawn mowers can cover a larger area; however, make sure that your extension cord will reach as far as you need it to reach and that you have electric power sources available. When choosing an electric lawn mower, you will have two different types of models to choose from. The two choices are corded and cordless lawn mowers. Corded Lawn Mowers were the first type of electric lawn mower to be invented. This type model is powered by an extension cord that is plugged into a power source. A corded lawn mower only requires an electric power source. It does not require gasoline. You simply have to plug the mower in and unplug it when you are finished. One disadvantage of a corded lawn mower is that you have the cord to contend with while you are mowing the lawn. You will have to maneuver the cord away from the mower so that you don't run over it. Mowing over the cord can potentially be dangerous. Cordless Lawn Mowers operate using a rechargeable battery. This type model has become very popular in recent years because it has all the advantages of an electric lawn mower without the hassle of dragging around a cord around your yard. The cordless lawn mower is generally recommended for lawns that are around 5,000 square feet or less. Batteries come in different voltages. The most common voltages are 18, 24, and 36 volts. The higher the voltage, the more powerful the lawn mower will be. It is recommended that you purchase two batteries so that you can mow the lawn when one battery is in use while the other battery is charging. When purchasing an electric lawn mower, think about how much grass you will have to cut at a time. Consider your budget and how much money you wish to spend. Cordless models will cost more than corded models. Will you have access to an electrical outlet or not? If not, a cordless model would work better for you. If using a battery-powered model, you can charge one battery at any electrical outlet and then go out away from the power source as far as you need to using your other battery. Each electric lawn mower model will have different features to choose from. Some models will produce less noise than others. Some models will weigh more than other models and will be easier to maneuver. Others have different handlebars which you may want to consider before purchasing your lawn mower. There are two types of electric lawn mowers: corded and cordless. I will explain the differences between the two types and cover the pros and cons of each below. Corded lawn mowers are the original electric lawn mower type. They have the advantage of not giving off fumes like gas-powered mowers do. Corded lawn mowers also have a constant supply of power as long as you are connected to an electrical outlet. Both corded and cordless lawn mowers require less maintenance than a gas powered lawn mower does. Cordless lawn mowers were invented to take the hassle away from dealing with a cord like an electric lawn mower. While it has most of the advantages of a corded lawn mower, it will cost more and the battery will need to be recharged. If you want to continue mowing when the battery goes dead, you may want to consider purchasing an extra battery if a spare is not included in the initial lawn mower purchase. Both corded and cordless electric lawn mowers share some common features. I have listed three of the most common features below. Do not give off fumes the way that gas-powered lawn mowers do. Aren't as noisy as gas-powered lawn mowers. Require less maintenance than gas-powered lawn mowers. After carefully reviewing the top ten electric lawn mowers available on the market today, I have picked the Snapper XD SXDWM82K 82V Cordless 21-Inch Walk Mower Kit as my choice for the best electric lawn mower on the market. ​Before buying an electric lawn mower you may want to consider three things. How Much Lawn Do I Have to Mow? If you have more than 5,000 square feet of lawn to mow, most people will purchase a corded lawn mower. A cordless, battery-powered model will run out of power for a big job. Will the Lawn I Will Be Mowing Be Near an Electrical Outlet or Not? If you will not have access to an electrical outlet, then you will need to go with a cordless mower because it runs on an electrically charged battery. You would only need to use an electrical outlet to charge the battery when not in use. 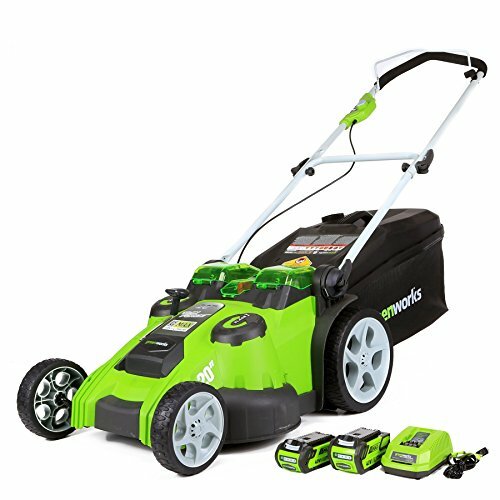 How Much Money Do I Have to Spend on an Electric Lawn Mower? Most of the time, corded lawn mowers are much less expensive than cordless lawn mowers. 1. How much grass will I be cutting? Generally, 5,000 square feet or less is all that most people use a cordless lawn mower for. 2. How much can I spend on a lawn mower? There will be a wide price range in lawn mowers to choose from. Cordless mowers will cost more than corded mowers. 3. How far can an electric cord reach when using a corded lawn mower? Most people don't use more than a 100-foot extension cord for an electric lawn mower. The longer the cord, the less power you will have. 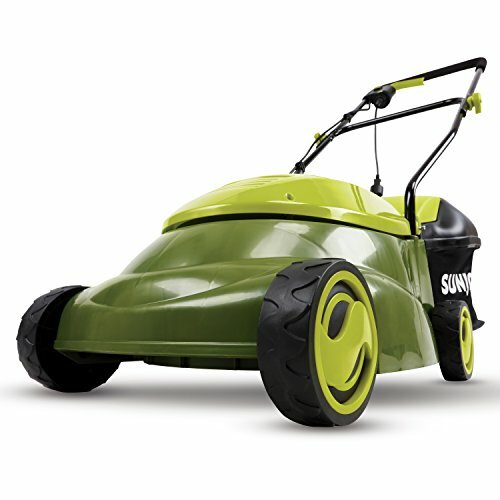 An electric lawn mower has several advantages over a gas powered lawn mower. An electric mower will not give off fumes the way that a gas powered lawn mower does. An electric lawn mower is much quieter than a gas powered lawn mower. If you have neighbors who live close by, an electric model may be a better option for you. With an electric lawn mower, there is no need to clean or change parts like spark plugs, for example. I have covered the basics of both corded and cordless electric lawn mowers. I have also reviewed our pick of the top ten electric lawn mowers available on the market today. 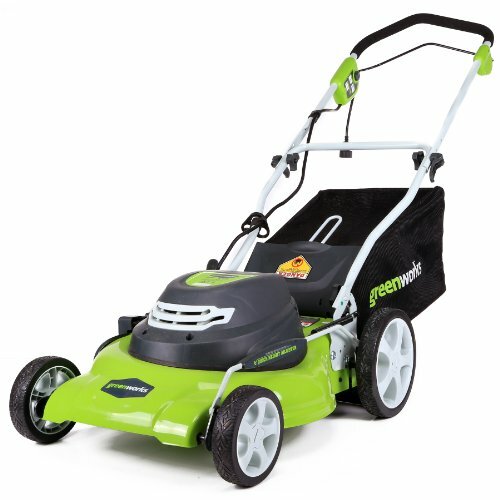 I hope that this review has helped you to make your choice a little easier when and if you decide to purchase an electric lawn mower Carefully consider how much money you want to spend, how big the lawn area is that you will be cutting, and whether or not you will have an electric power source available when using your lawn mower. Making an informed decision before you purchase your lawn mower will help you have good experience with your your mower in the long run.